Those wanting a "Flare Red" 3DS might want to act soon. Nintendo recently revealed that the color will soon be going out of production in Japan. The color was launched back in July 2011 in Japan. It was the third color launched there, after Cosmo Black and Aqua Blue. 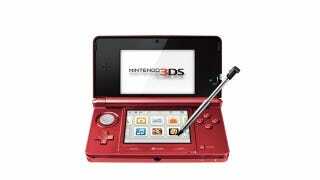 With the 3DS XL out (and new Red X Black XL), perhaps Nintendo wanted to scale back its 3DS color line-up. Earlier this year, Nintendo ceased production on the Aqua Blue model. Thanks Flare Red for all your redness!